Olivet Nazarene University presents Thomas Weisflog on the the Ovid Young Memorial Organ Recital Series. Thomas Weisflog came to the University of Chicago in 1969 as a graduate student in chemistry, began taking organ lessons with then University organist Edward Mondello, and the rest, as they say, is history! Appointed as University organist at the University of Chicago in 2000, Thomas Weisflog directed the historic restoration (2006–08) of Rockefeller Chapel’s massive E.M. Skinner organ. 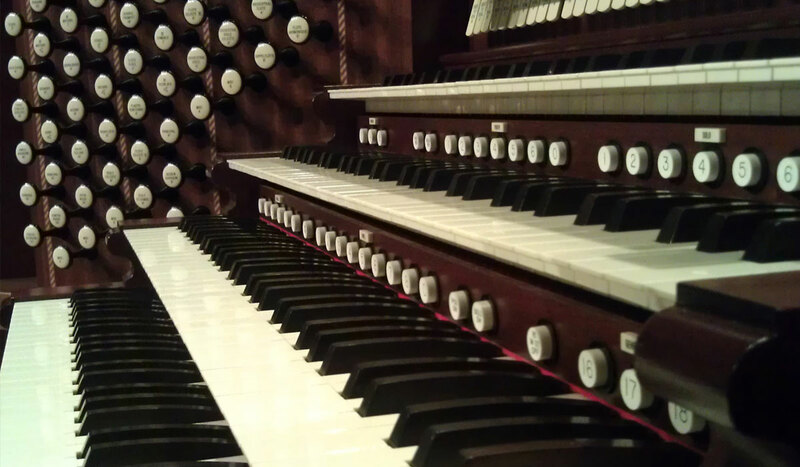 He was instrumental too in the recent installation of the Reneker organ in Bond Chapel. He also serves as organist and artist in residence with Chicago’s William Ferris Chorale. Weisflog studied piano with Gavin Williamson, and organ with Edward Mondello and then with Norman Peterson at the Eastman School of Music. He has appeared with the Chicago Symphony Orchestra, Grant Park Symphony Chorus, and the Chicago Chorale, and has performed numerous recitals throughout North America and Europe. His recordings appear on the Meridian, New World, and Vox labels.